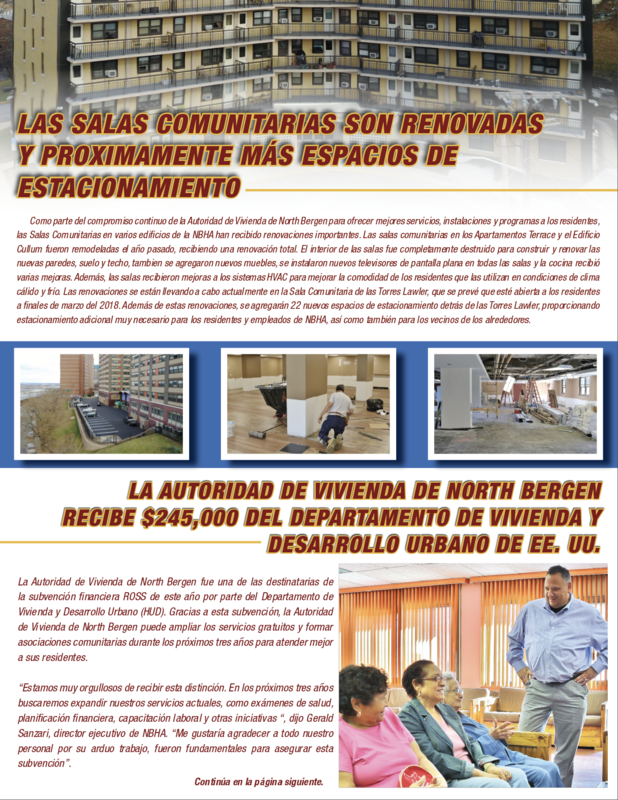 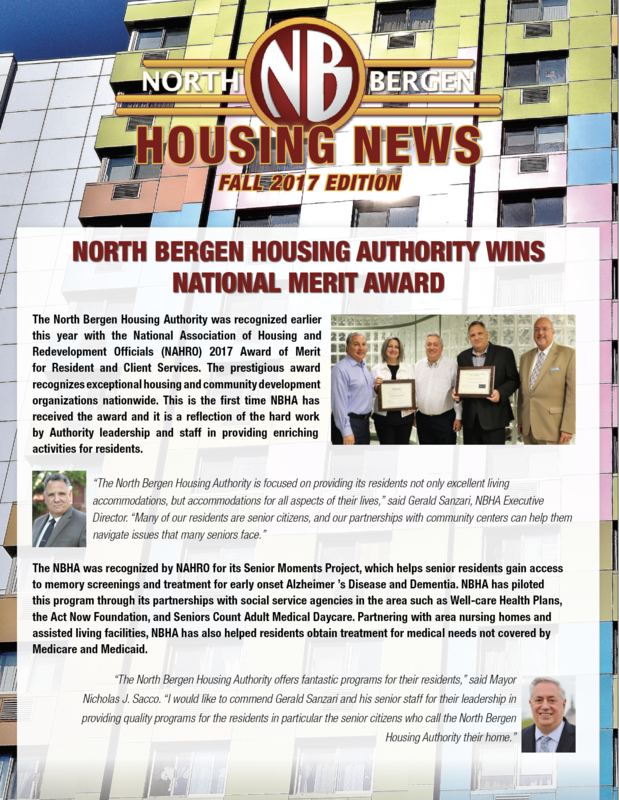 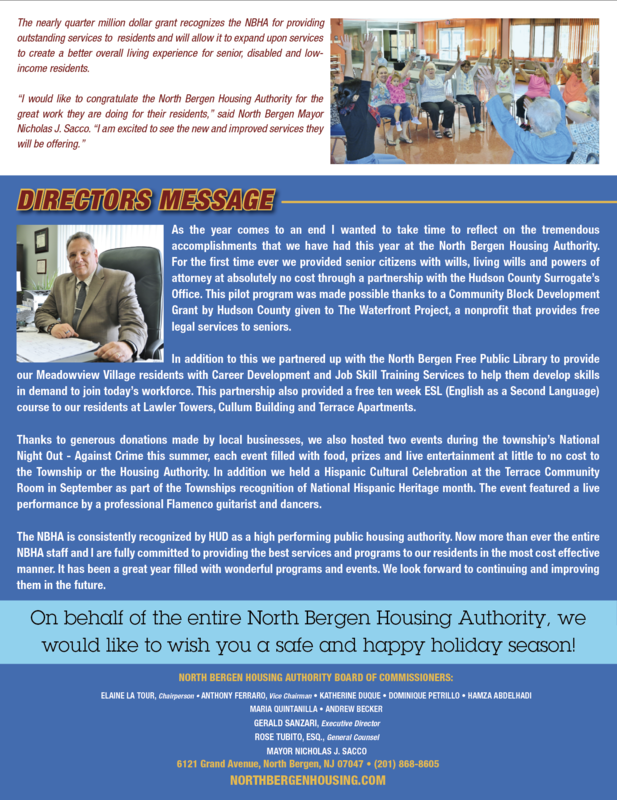 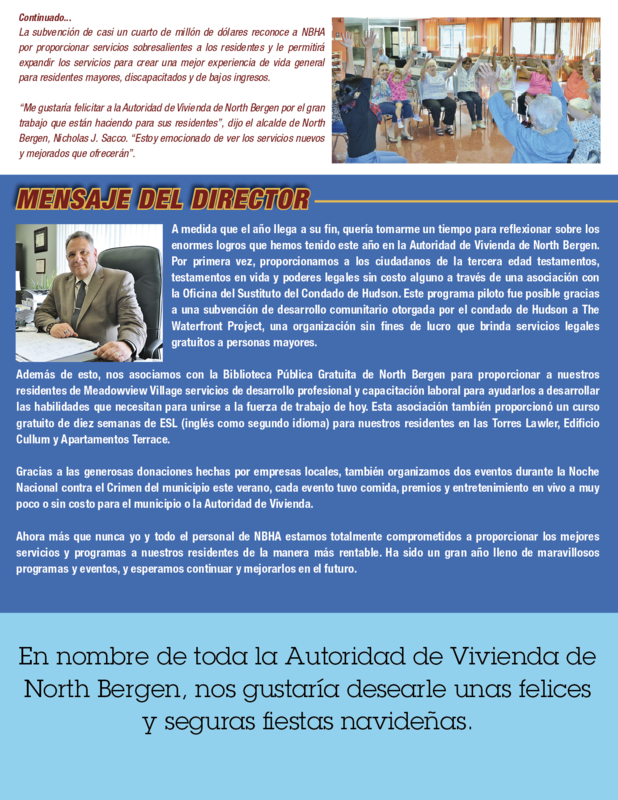 North Bergen Housing Authority – comfortable,affordable housing, safe and secure living for low-income, senior, or disabled residents. 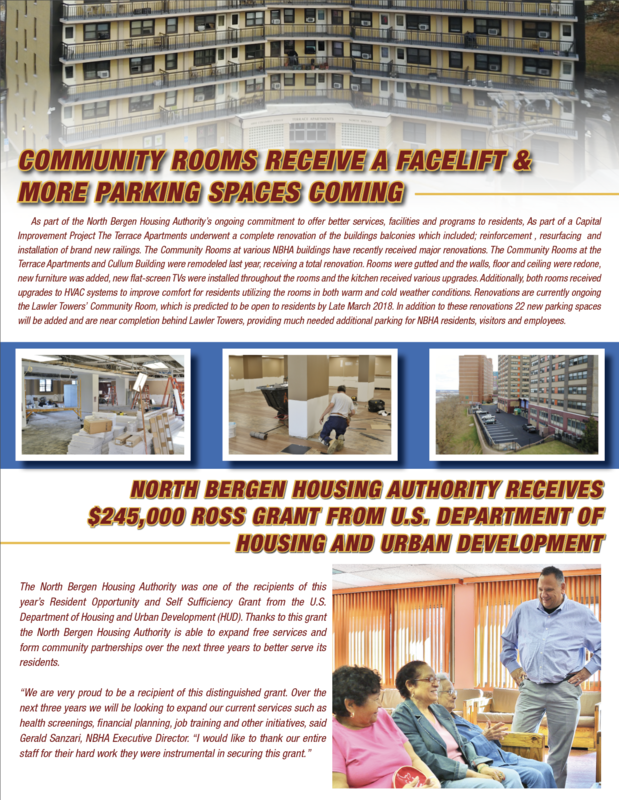 (NBHA) provides comfortable and affordable housing in a safe, stable and secure living environment for low-income, senior, or disabled residents. 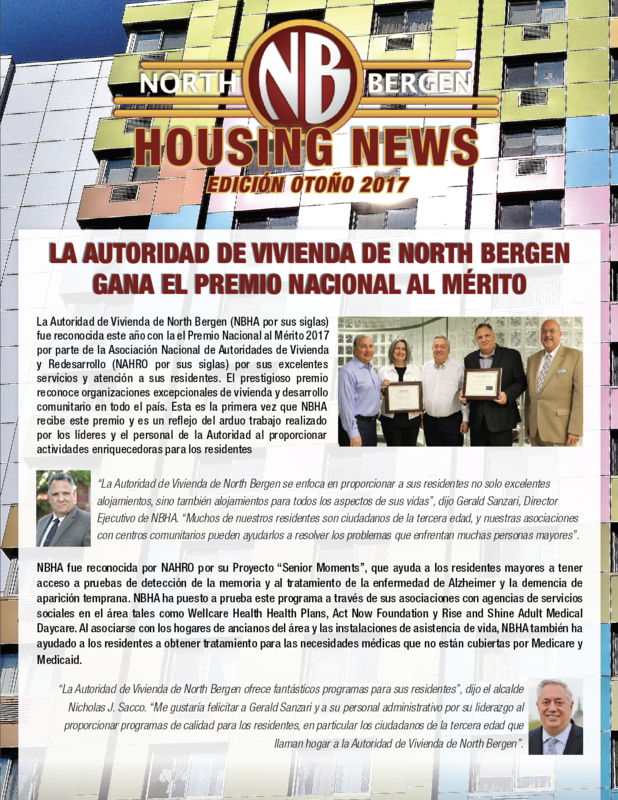 The NBHA aligns its philosophy with that of the U.S. Department of Housing and Urban Development (HUD), to create strong, sustainable, inclusive communities and quality affordable homes for all and to build inclusive and sustainable communities free from discrimination.